This has been a long time in the planning but Holly&Lil are now the first London Stocklists of the luxury dog beds & blankets by award-winning British dog bedding designers Charley Chau. Beautiful bedding for dogs that looks gorgeous in your home And in ourt opinion Charley Chai are to beds what Holly&Lil are to collars. Inspired by their four Italian Greyhounds, they focus on designing luxury dog beds and dog blankets that are super-cosy, stylish & practical; made to perform over time. 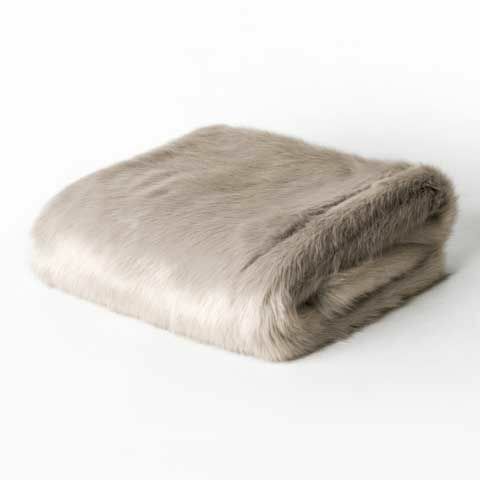 A little bit decadent and simply divine, our luxurious Faux-Fur Dog Blankets are indescribably soft and super-stylish! Perfect for adding a big splash of luxury to your dog’s existing bed, for your sofa and the end of your own bed – our Faux-Fur Dog Blankets look and feel fabulous! And they're machine washable too - gorgeous and practical! 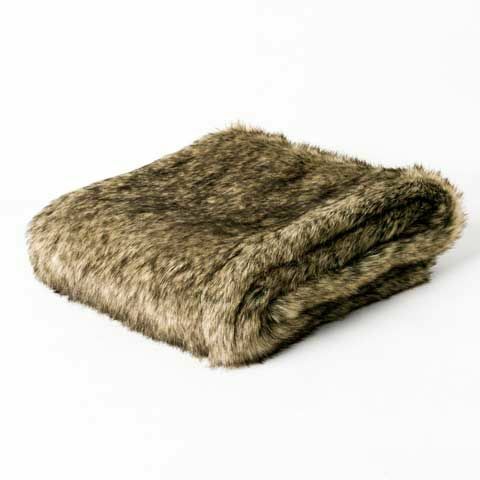 Fair warning ... many of our customers buy one of our Faux-Fur Dog Blankets for their dog and then find themselves ordering another one for themselves – they are quite simply gorgeous! Medium throw approx. 100 x 65cm Lush lilac-grey tones, indescribably soft and a joy to cuddle up in, and machine washable too! Backed with our super-soft anti-pil fleece in Oyster, Lilac Rabbit is super-soft and really very cosy. Easy to coordinate with neutral and grey interiors, and a fabulous contrast against dark, moody grey tones - gorgeous and practical! Wolf Grey has a blend of grey and white faux-fur fibres to create a beautiful faux-fur that will work well in all kinds of home interiors but particularly in grey and other cool colour schemes. Delicate Oatmeal in a wonderfully neutral colour tone - easy, effortless style. 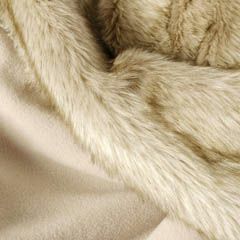 The faux-fur in our Oatmeal blankets is rich and luxuriant to touch, and is backed with our super-soft anti-pil fleece in Oyster. Your dog will think he or she is in doggie heaven. 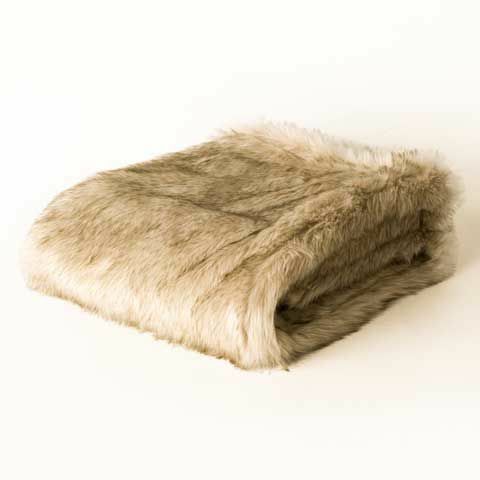 The Squirrel faux-fur is indescribably soft and backed with our gorgeous fleece in Oyster to create a blanket that is a real treat to snuggle into. The blend of relaxed mid-tone browns and greys is understated and neutral so the blanket is versatile and easy to coordinate – dog blankets in your home don’t need to stick out like a sore thumb!